Well, it has happened – I have finally finished university. After a month of essay deadlines and exams, I’m amazed I read as much as I did. I think that’s been the standard theme of this year so far; my surprise each month that I actually found time to read. It definitely helped that I participated in a 30 day reading challenge, and I’m sure that’s why my totals this month (two books over 500 pages is quite the feat for me) are pretty darn fantastic. 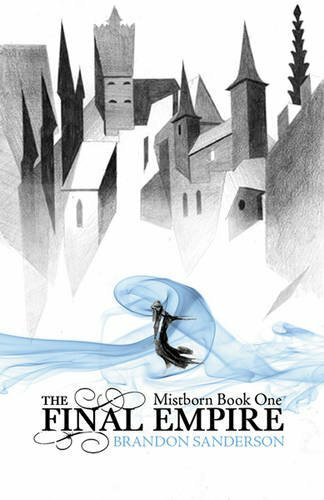 First up this month was The Hero of Ages, the third and final instalment in Brandon Sanderson’s Mistborn trilogy that I started back in 2015! I read the previous two books the previous two summers, having saved them both all year for when I felt I had enough time to read them – and then the genius that is 2017 me decided I had enough time to read the final book over coursework season. If that’s not impressive, then I’m not sure what is. Then as if that book wasn’t long enough, I followed it up with another final instalment to a trilogy: A Court of Wings and Ruin by Sarah J Maas. This was pure guilty pleasure for me, and I devoured it within a week. Just pure fun, uncomplicated (in a good way) fantasy that you can just lose yourself in. Complete escapism at its best, and a series that has improved so much from its first instalment. After that, I finally read a book I’ve been promising myself, and my colleagues, that I would pick up for ages. Lincoln in the Bardo by George Saunders was an unexpected joy, Saunders somehow redefining what it means to write fiction and do so in a way that reminds you just how much art there is in writing. He weaves his story from excerpts of various non-fiction literature on Lincoln, interspersed with his own pure fictional writing. The combination of non-fiction, fiction, and non-fiction crafted as fiction, created a completely new way of reading. Although the first few pages I found it difficult to process, once you get used to the formatting you can hardly put the book down. It was after this that I read Animal by Sara Pascoe, ‘The Autobiography of the Female Body’. For this I’m just going to repeat what I said in Goodreads, which is that this was a great book separated into discussions on ‘love’, ‘body’, and ‘consent’. Pascoe manages to insert humour and charm, but still discusses serious, and upsetting, topics with a sincerity. This is a good book if you want a mix of entertainment, autobiography, well/explained science, and talks on bodies. Of course people who are well versed on the subjects will find fault with some of the scientific facts, but for me it was a perfect balance of digestible science I could understand and Pascoe’s own thought. Whilst Pascoe is addressing matters of the ‘female body’ and does in her footnotes clarify that this can apply to those who do and do not identify as being female or to those who weren’t necessarily born in a ‘female’ body, I think I would have liked more discussion on gender within her ‘body’ section. Overall the book raises some fantastic points that I definitely support, but for a book on bodies and love I think there should be more discussion dedicated to gender itself. After a successful non-fiction read, which I don’t read enough of, I decided to go for something else new – poetry. The only poetry I’ve really read is within my education, and whilst I’ve enjoyed it I’ve never gone out and read poetry for fun. This is why, to start off my journey, I picked up the bestselling collection Milk and Honey by Rupi Kaur. And, I’m sad to say, it wasn’t quite my cup of tea – which is why I’m going to do a full review either sometime later this week or next. It’s so difficult, because of course you can see how much heart the author pours in, and then to find you don’t really like it, I especially find it hard to give such negative feedback. One thing is for certain – I’m definitely going to pick up more poetry soon to find something I do love. Thanks to Animal, I ticked off an autobiography because that word is within the subtitle so it definitely counts. Milk and Honey also ticked off poetry, so a pretty darn good month. The Hero of Ages and A Court of Wings and Ruin both added a notch to finishing a series you’ve started, as they were both the final instalments of two trilogies I’ve loved. Lincoln in the Bardo added a fourth notch to books published in 2017. Overall, a pretty great reading month. It means I’m still left with 3 Classics (I knew that was going to be a struggle to get to), a Horror Book, a friend’s favourite book, and a book with a character with your name. I definitely have books in mind for the latter two, but still haven’t found a Horror book that I want to read, so if anyone has any suggestions I’m all ears. After all, June is my birthday month so I’m planning to do a rather large book haul. One thing that I adore about going on holiday is the complete isolation from technology – which, I’ll admit, I sometimes love but sometimes don’t. For the past 10 days I’ve been lucky enough to be in France with my parents sunbathing and, more importantly, reading. 5 books later, I’m here to tell you about one of them that stood out and I don’t feel has had enough recognition. It’s not often that I come across a book which reminds me why I love reading so much and also makes me want to write something in the hopes that it will be as great as this one. Ladies and Gentlemen, I introduce The Final Empire by Brandon Sanderson. Brandon Sanderson’s epic fantasy trilogy overturns the expectations of readers and then goes on to tell the epic story of evil overturned in a richly imagined world. But now a troublemaker has arrived and there is rumour of revolt. A revolt that depends on criminal that no-one can trust and a young girl who must master Allomancy – the magic that lies in all metals. I know, I know, yet another fantasy but bear with me, you won’t regret it. At least, I hope you won’t. The blurb on the back of the book gives away a lot less than the one above does – which I found on Amazon for those of you who are curious, though I don’t see why you would be – and the main message is ‘What if the dark lord won?’. That was the line that got my attention. Sanderson creates this world that feels almost apocalyptic in nature, with ash constantly falling from the sky and the thought of a blue sky being ridiculous. You’re introduced to a clear divide between the noblemen, who are said to have sided with this novel’s own dark lord, the Lord Ruler, and the Skaa, the people who have essentially been forced into slavery and poverty. However, there are whispers of rebellion by a particularly charming troublemaker who enlists the help of a mismatched group of friends and a Skaa thief, who is worth a lot more than you might first think. Upon starting this book, I basically knew nothing. It came up as a recommendation for me and a particular book reviewer I like mentioned it as one of her favourite fantasy reads. How could I resist? I’ll have to admit, though, that I read this as quickly as I anticipated. The first part of the novel focuses on introducing you to the setting, characters and several story lines (along with some seriously fantastical elements). As I had no clue where it was all going, I could appreciate that it was well written and imaginative but it didn’t grip me. I was so unprepared for part two. Oh my goody gumdrops did that take off. The book is separated into several different parts, and I think it’s just so you can take a breather. The action scenes are so fast paced and exciting that I was literally on the edge of my seat, biting my fingernails, desperate to see what would happen. So many twists and turns, surprises around every corner, to the point that if someone tried to talk to me I had to shoo them away because I seriously did not have time for any interruptions. Part One may have taken me a while to get through, but once I hit that first action scene? Jeez, I read as fast as I could turn pages. I’m forcing myself to stay away from spoilers, but I still want to give you some ideas as to what you might find within this fantastic book. First of all there’s a great development within a young female character, and as you read on you feel some serious awesome vibes from her. The ‘magic’ within the novel, called Allomancy, had me confused at it’s first demonstration but, once it was explained later on all I could think was wow, that’s clever. Serious respect for Brandon Sanderson at this point, and I’m ordering the sequels as I write. I’ve always been curious as to what would happen if the ‘bad side’ won, and to see this idea as to what could happen was just brilliant to read. It should come as no surprise, then, that I absolutely recommend this book without hesitation to anyone interested in fantasy whatsoever. It’s just so clever and good and the twists had me screaming, crying, or just holding up my hands to scream ‘WHY?!’. Basically, you should go read it.